Please allow 3 working days for UK Delivery. Price includes Worldwide delivery. 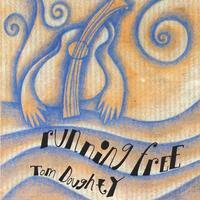 All Tom’s CDs are available from iTunes and Amazon. From Rock to Baroque A beautiful, diverse and skilled journey into the Acoustic Lap Guitar. 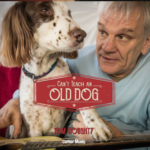 Tom’s 4th full CD reflects the strength of his repertoire and ability to find new textures and voices to his music. The thread is clearly constant – a lap slide guitar, good music and strong vocals from a man whose playing continues to amaze. “This musician has now produced five albums, each one, in my humble opinion, taking acoustic lap-slide guitar to a level above any other musician of that particular genre alive today. After receiving his latest C.D. yesterday (and playing it constantly for four hours ~ it’s on our workshop C.D. player now!) I can honestly say it’s a slide guitar masterpiece. Please allow 5 working days for UK Delivery. Price includes delivery. The Evolution guitar silde by Diamond Bottlenecks. 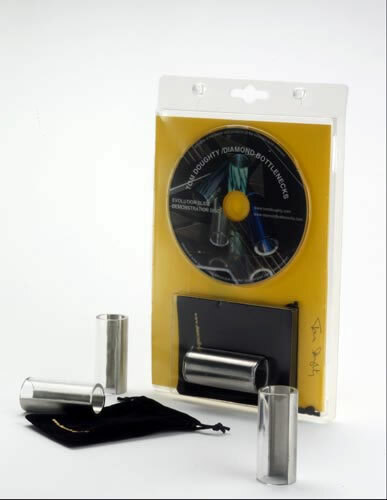 Necessity being the mother of invention, Tom designed and created the prototype of this featured slide & asked the team at Diamond Bottlenecks to produce his idea of what we consider to be the perfect all-round guitar slide. Tom uses his slide constantly, proclaiming it combines perfect weight & balance without the bulkiness of other ‘traditional’ slides – and after two years & thousands of hours of playing in both live & recording situations the slide still performs to Tom’s exacting expectations giving awesome tonal range, speed & pitch which no other slide can possibly allow. Having the weight of heavy stainless steel & the tonal textures of pure glass in one complete package, this slide is perfect for intricate, balanced runs & has proved both rugged & hard wearing – as Tom says “I’ve dropped it a dozen times so far and it’s still in one piece – the sure sign of a hard working slide player!”. Tom’s first two C.D.’s, ‘The Bell’ and ‘Running Free’ received rave reviews, and his eagerly-awaited third album, ‘Have A Taste Of This!’ was launched in November 2008 to equally stunning reviews. To complete a fantastic year for Tom, ‘Have A Taste Of This’ recently won the prestigious ‘Nobby’ award from the Cheshire Pie-Men’s guitar appreciation society! This is such a truly unique slide we call it “Evolution” – comprising both the weight of steel & the tone of glass – one half being heavy, highly-polished stainless steel & the other half being a toughened glass insert bonded together as a tube, offering two playing surfaces from a single slide using the weight of the steel to offer a smooth, sustaining glass tone from one ‘face’, and a sweet, biting steel tone from the other ~ a true “Evolution”! The “Evolution” is available in one length – 60mm (2.3/8″), with an internal diameter of 20mm. (3/4″). Premium quality highly-polished stainless steel is used for the one half of ‘Evolution’ ~ the other half comprises of a specially-formulated toughened ‘industrial standard’ glass, created to stand the rigours of playing & touring – and if you crack or smash the glass insert accidentally we’ll replace it for free! We leave the internal walls ‘unfinished’, this allows the player to pad-out the slide to their individual preferences in regards to reducing the I.D. & general ‘feel’ of the slide internals. Our “Evolution” slides are individually packed with a free C.D. of Tom talking about his slide & playing a selection of tunes, and are shipped with their own monogrammed satin ‘Mojo Bag’ for constant protection.